Do you know what these items have in common: Crayola crayons, Red Wing Boots, and Zippo Lighters? If you guessed that all of these products are made in America, then you’d be correct. The movement toward supporting companies who are manufacturing products in the U.S. has grown over the last several years. What used to be seen as a small sub-culture movement, “buying American-made” has grown nationally and continues to build with organizations providing lists of American made products, offering awards, and regular features in the news. Marriott Hotels (which includes The Ritz-Carlton Hotels and TownePlace Suites) recently announced that they’re replacing all hand and bath towels with ones made in America at Standard Textiles. These towels will be manufactured with cotton produced in the U.S., and will add over 150 jobs to the company. There’s a point of national pride for both those making and buying American-made products, which are generally perceived to be of higher quality and longevity. St. Croix has proudly made their famous knitwear in America for nearly 60 years. It’s not a trend, it’s nothing new—it’s simply the way it’s always been done, thanks to Founder Bernhard Brenner. Mr. Brenner came to America as a talented and motivated young knitting engineer who had been working for STOLL in Germany. He had a singular goal in mind, which remains steadfast to this day: “Make the finest garment that can be made.” And he chose the United States of America as the place to make his home and begin his business. This goal has come to life through a well-honed, highly skilled set of manufacturing processes, some of which are so unique they’re patented. In every garment that is carefully handcrafted in the St. Croix facility, there’s a blending of artistry with technology, handcrafting with innovation, and a refined European/American style with comfort and wear-ability. Every hand that touches our knitwear knows precisely the step it needs to do, and they do it with great precision. There aren’t any cast-off “seconds” in the assortment. The products make the cut, or they go back into the process until they do. This attention to detail is definitely a selling feature. If you talk to any of St. Croix’s retail customers, they’ll tell you that the handcrafted aspect of our luxury clothing is a huge benefit. Add in that the garments are made in America—and the items nearly sell themselves. Furthering that benefit, we’re often told that once the customer owns the knitwear, they return again and again, often for the same item in just another color! There really is truth to the saying “you get what you pay for”. For the St. Croix garments—often you get more than you pay for. 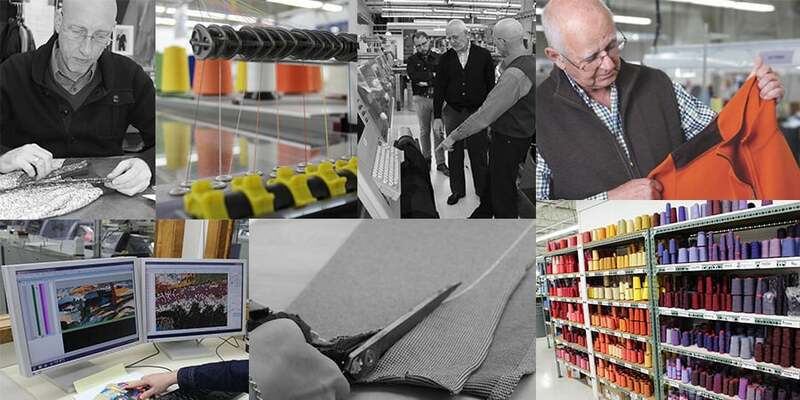 Mr. Brenner shares that with regular care, our knitwear can last you 40 or 50 years. Our V-Neck Merino Wool sweater is a perfect example: timeless (so you can wear it for 40 years and still be in style), durable, and sublime in comfort. As an organization, we’re pleased to see this resurgence of appreciation for goods made in the U.S.A. It’s the way things have always been done for the St. Croix knitwear line. For us, it’s another day making the finest garments that can be made—a simple but powerful goal that has become a legacy.